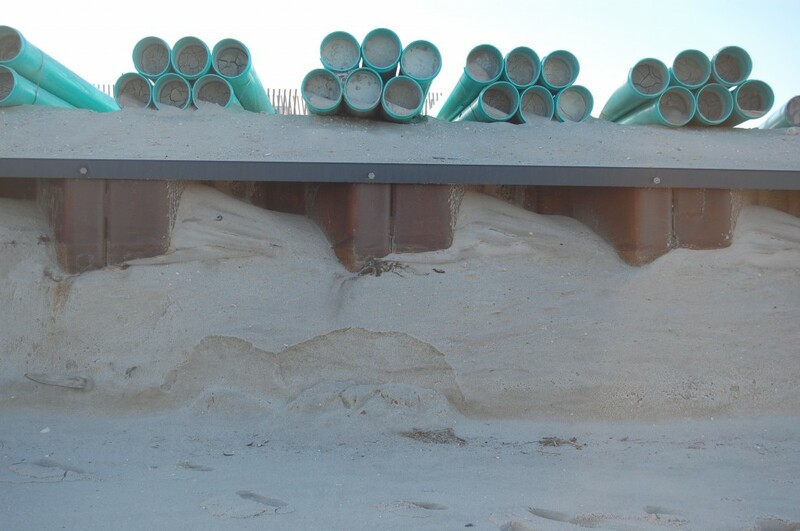 The two day-long nor’easter that brought high winds, heavy rain and strong surf to the Jersey Shore also packed this season’s first significant punch to local beaches – and nowhere is that punch illustrated as well as on the beach in Brick. During the storm, Shorebeat covered the storm’s impact on the steel sea wall revetment that is under construction in Brick and Mantoloking, and how the structure was keeping local beaches intact as waves took a bite out of the shoreline in front of it. 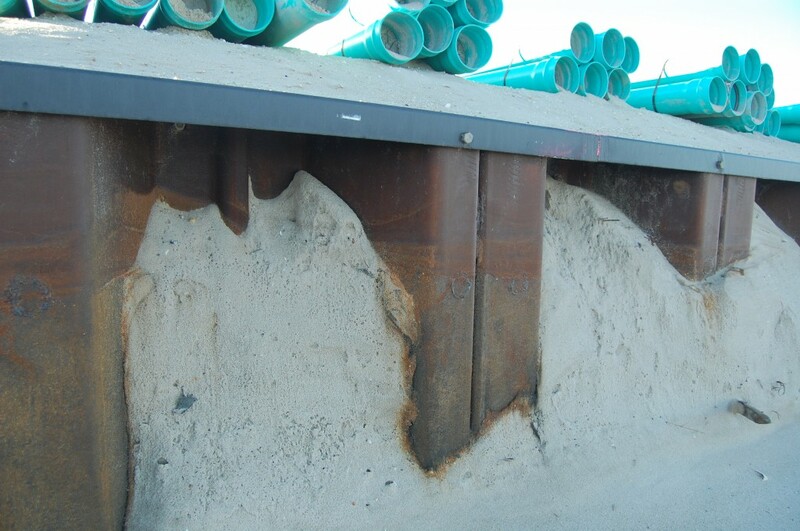 Now, after the storm has moved far away from the Shore area, its impact is easy to measure. 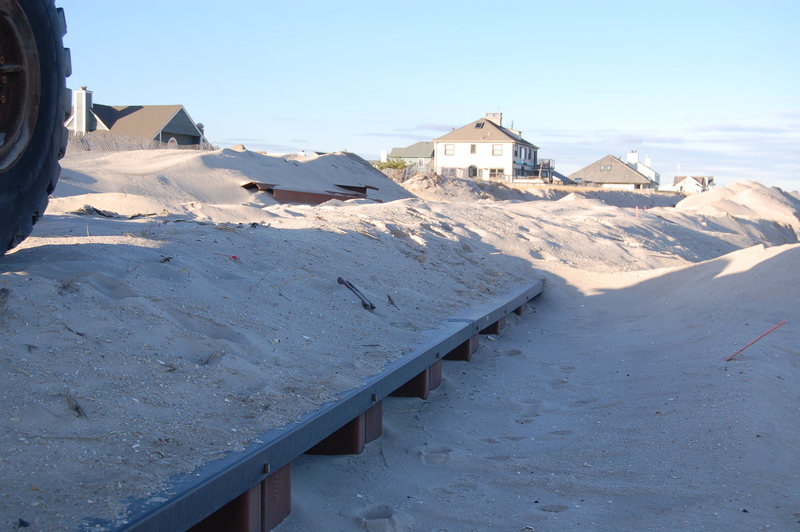 The storm took about five feet of sand from Brick Beach III, where the revetment has been installed and capped. 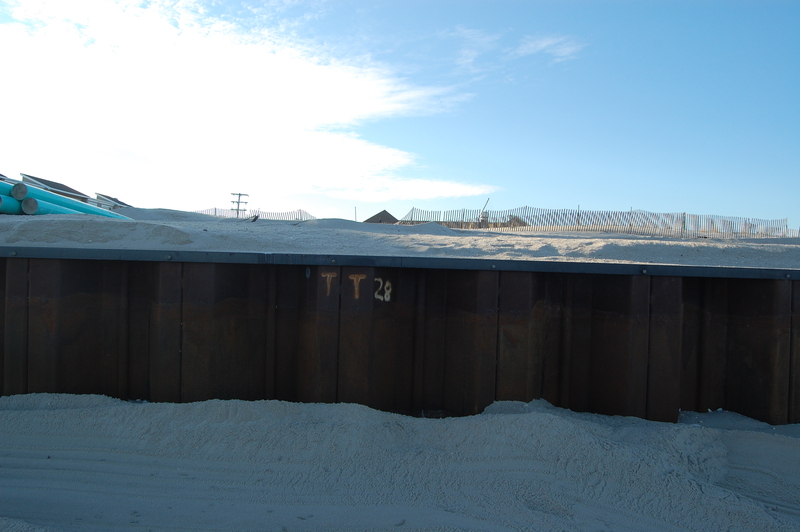 In front of the wall, there is an approximately five foot-deep dip, while the sand behind the wall is intact. 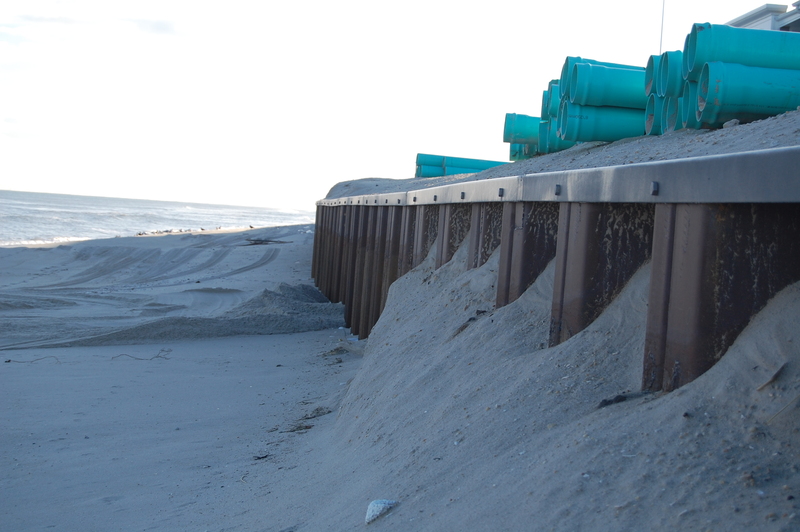 The long-range plan is for the wall – which has been driven 30 feet underground to shore up the integrity of the barrier island – to ultimately be covered by a vegetated dune that will be constructed by the Army Corps of Engineers. Construction on the dune project is expected to begin in March or April of 2015, officials have said.